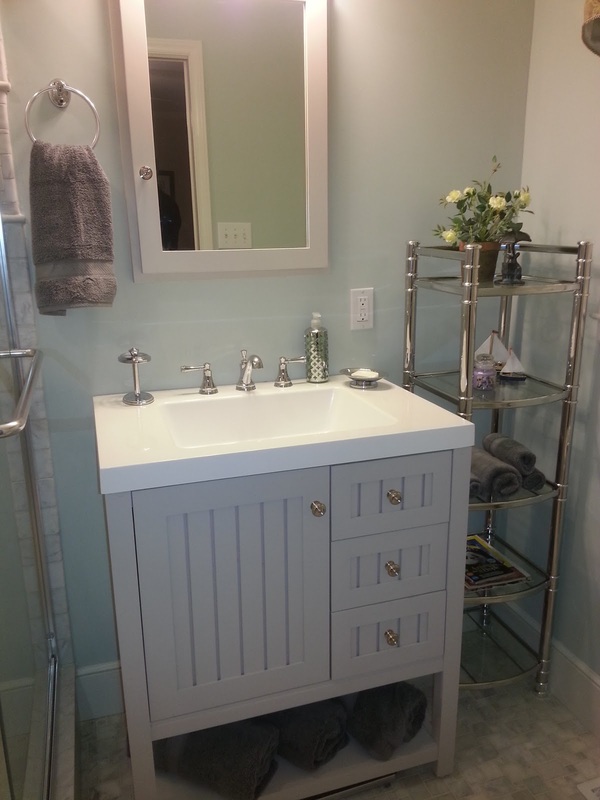 Are you looking for an inexpensive update for your 90's home? 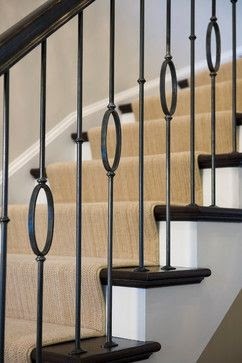 If you have the typical, builder-basic oak banister and painted white spindles, why not replace them with iron? 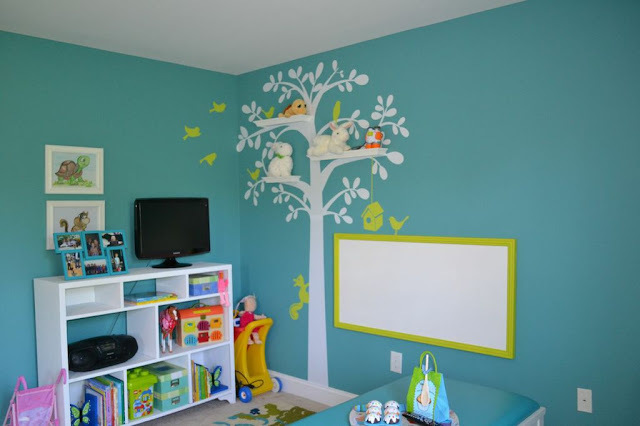 Remember this room from our Use it or Lose it, formal dining room post? 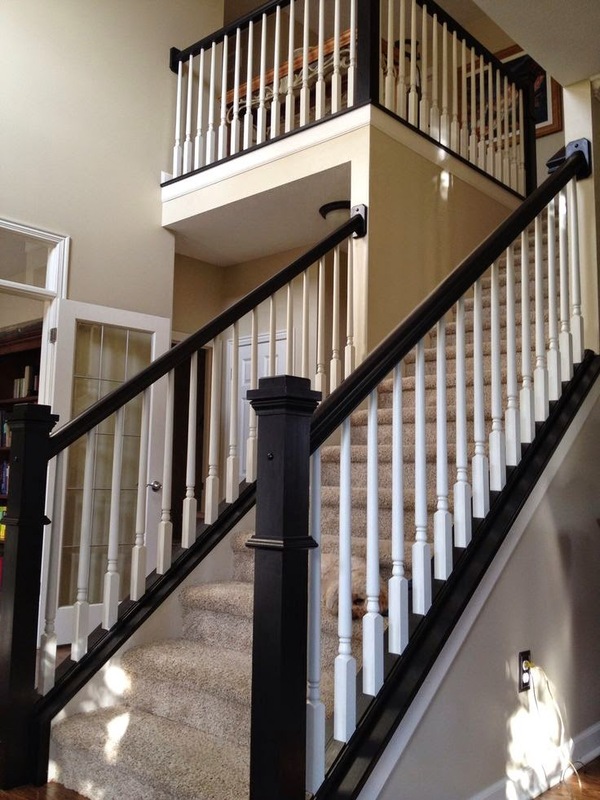 Kelly replaced her spindles with beautiful wrought iron balusters. 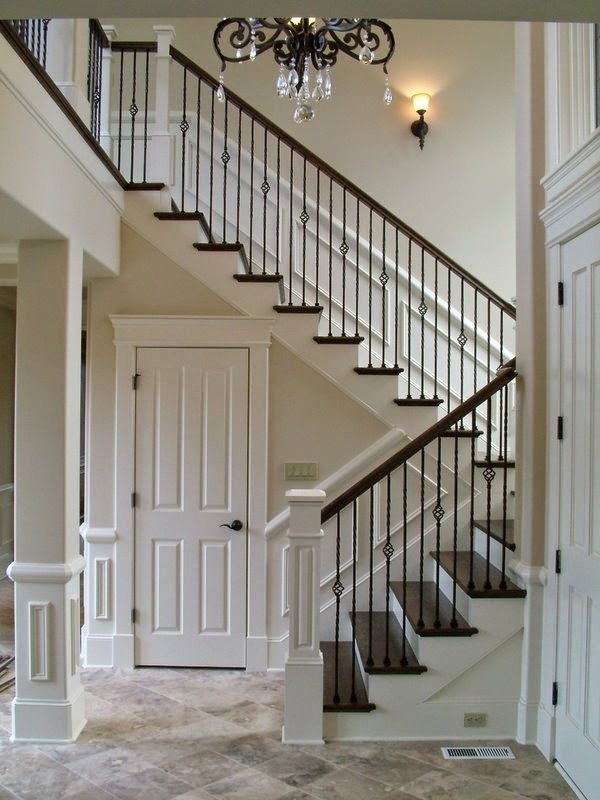 You can visit a home improvement store with photos of your existing stairs and a count of how many spindles you need. 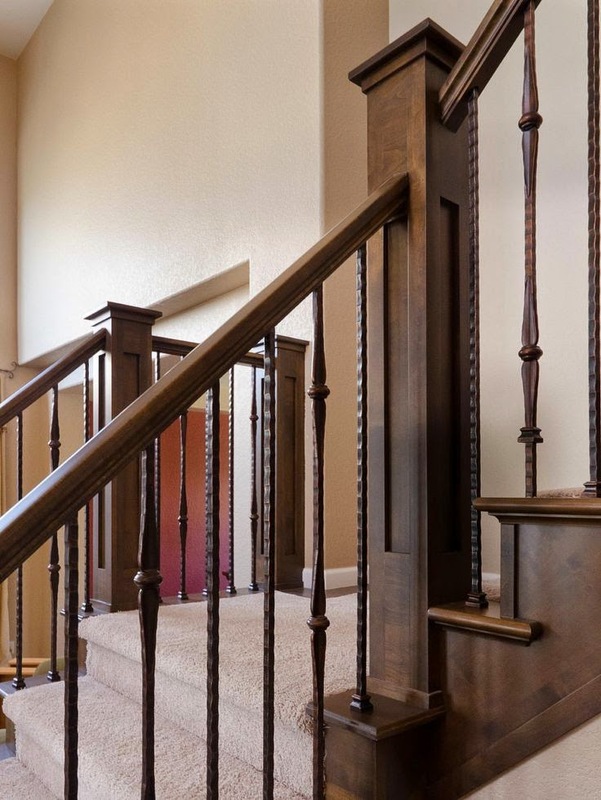 Wrought iron spindles come in different colors and designs to compliment most any home style. When it comes to new construction, I'm not a fan of the "plank" but if you have one, wouldn't it look better in iron? 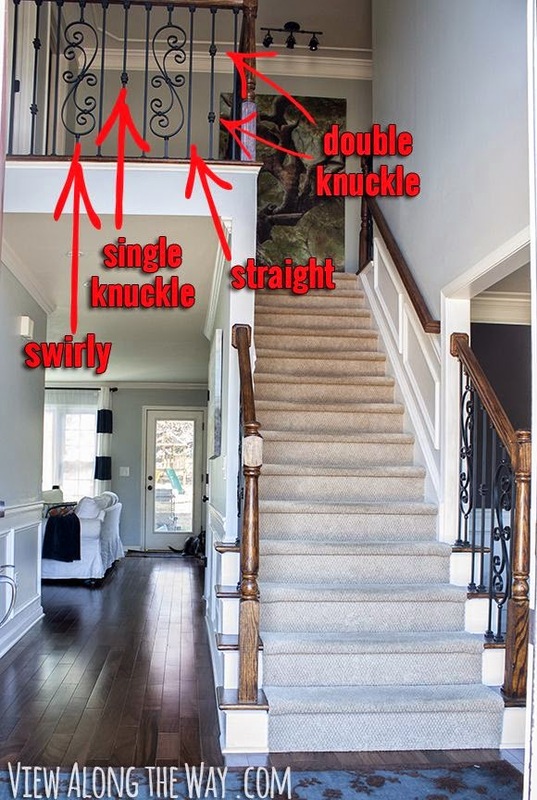 If you're up to it, Interior Design Info has a list of steps (all puns intended) on how to replace the spindles yourself! 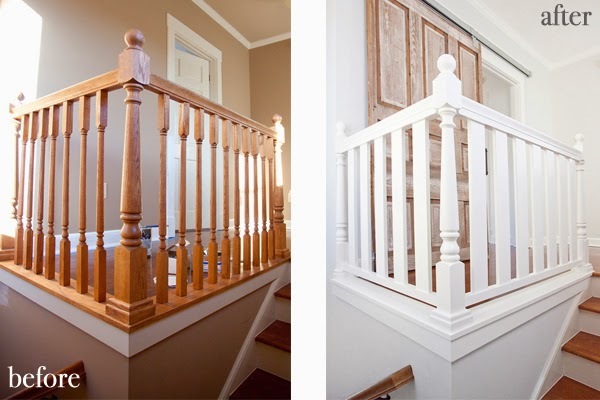 Once you have picked your new wrought iron spindles, you need to remove the existing spindles. Cut each spindle only 3/4 through around the middle to prevent the stair spindle from falling out. Once a section is cut, grab at the cut point and pull it towards you. 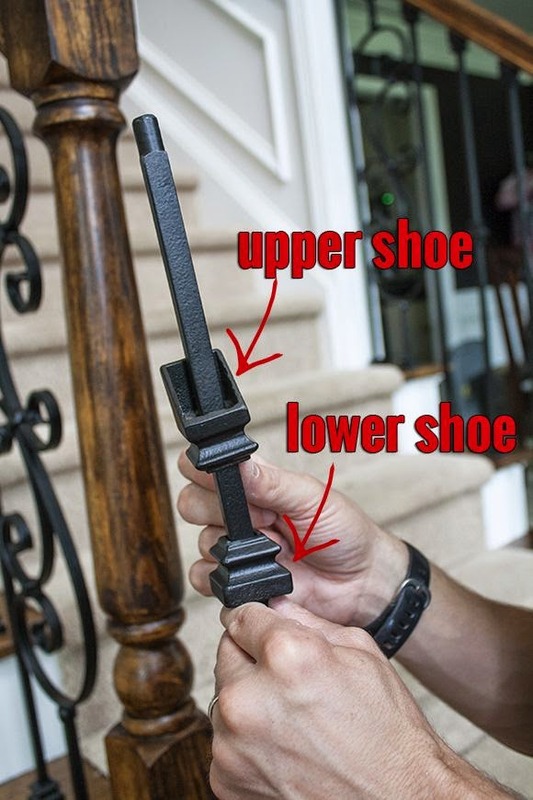 Remove all of the unnecessary nails using pliers and discard the broken stair spindles. Measure the space between the hand rail and the floor for each new spindle individually, then add 1" to 1-1/4" to each measurement. Cut the bottom of each spindle to the correct length. Put the new wrought iron spindle in the hole of the old spindle by putting the top of the spindle in the hole first, then add a shoe to the bottom. Glue the top and bottom of the new wrought iron spindles and shoes using epoxy. Budget can't handle 60 new wrought iron spindles? Try paint! Layla, from The Lettered Cottage has step-by-step instructions on how to take builder-boring spindles and give them some flare! The use of black paint in a traditional setting is particularly stunning. 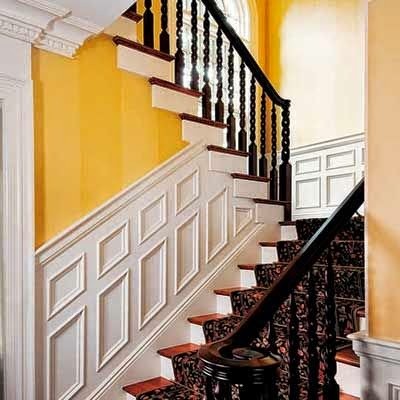 Here, they painted the banister, the newel posts and the spindles in black. 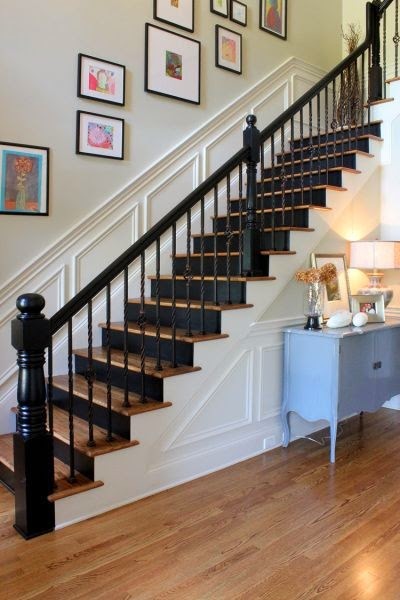 Painting just the banister and newel posts black is a clean and crisp look. Anyone can accomplish a simple update like this one. 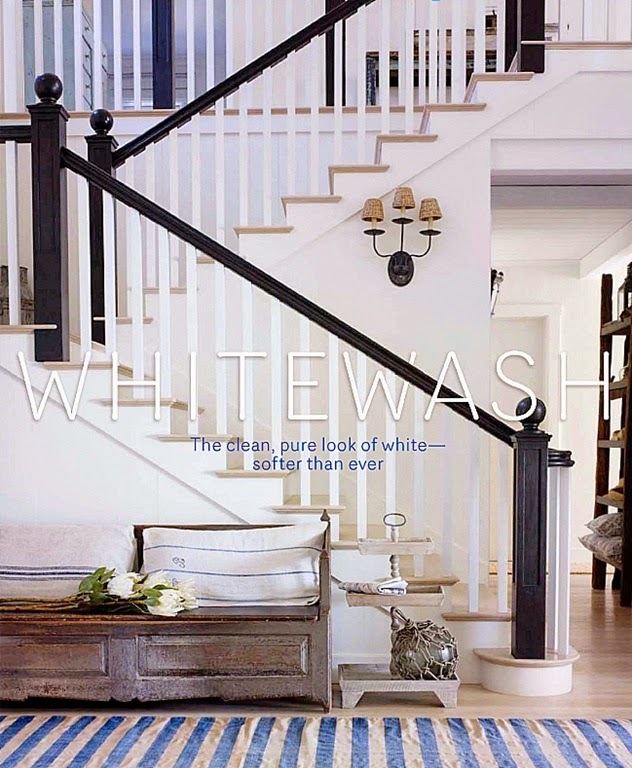 Side note: The whitewashed floors are fantastic too! Having a blond dog makes me question my decision to go with dark floors! 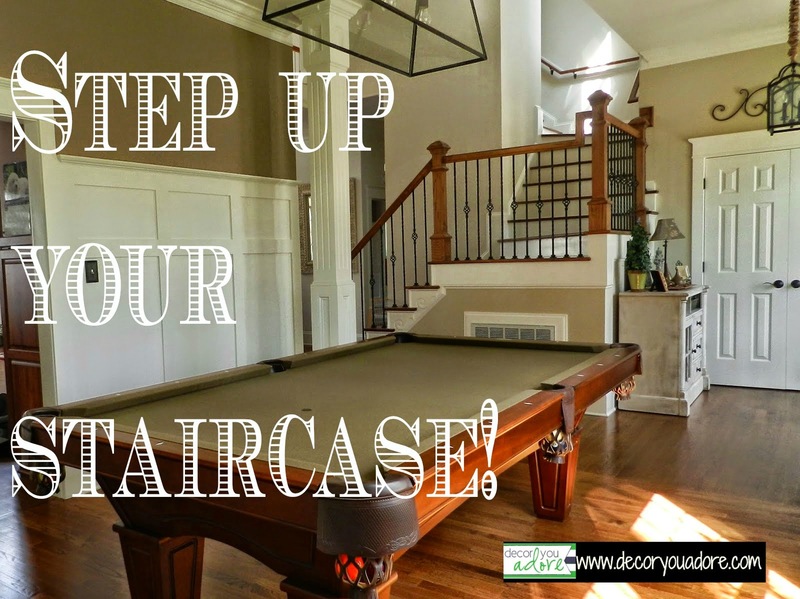 Many homes built in the last couple of decades have the pre-fab stair kits where the spindles are not installed into the stair treads. 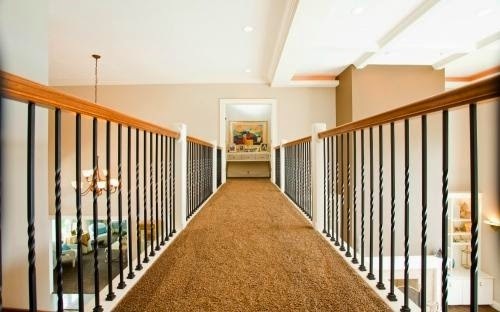 By painting the top banister and the bottom "rail", it gives the staircase a more updated and custom look. If you are feeling bold, why not do both? 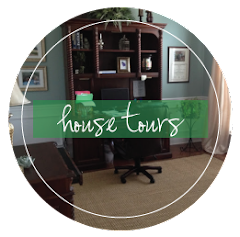 This version features black, painted newel posts and banisters and an installation of iron spindles. 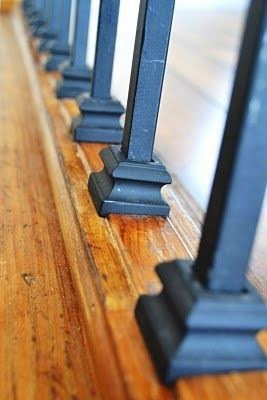 If you don't care for scuff marks on your stair risers, paint them black too! 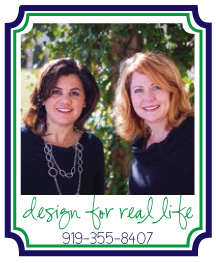 When used sparingly, black in your interior provides drama and sophistication in design. Painting your banisters black is a quick, easy and budget-friendly update you can do in a weekend! You all know that I love the beach. We have a little piece of paradise and I try to get there as often as possible. If it weren't for that pesky little thing called income, I'd pack up and start my career as a beach bum today! Alas...as many weekends as possible and a stolen week or two it is...for now! 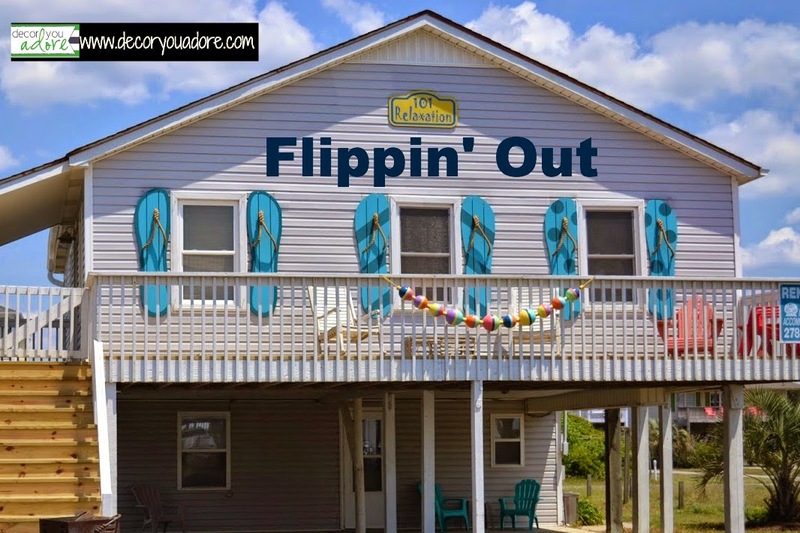 Over the winter I decided we needed to amp up our curb appeal by swapping out the plain jane shutters for something to flip for! 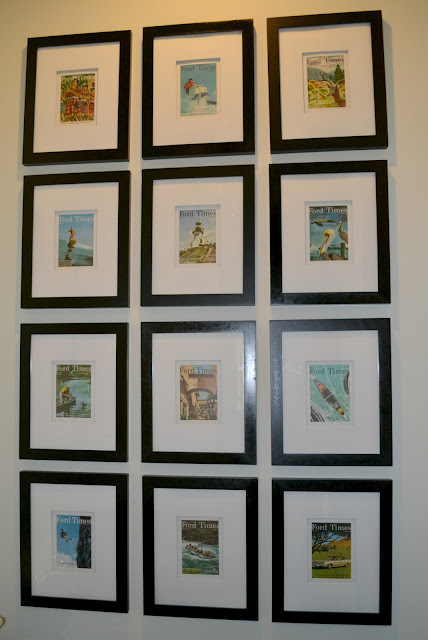 Then we painted them to match the current color scheme of the beach house. And I added some details to make them AWESOME! Georgia carefully supervised the Flip Flop Ops! Good job Mom & Dad! One up and two to go!